Ever wonder how Denver got its street names? Here's the guy behind it all, from Arapahoe to Zuni. 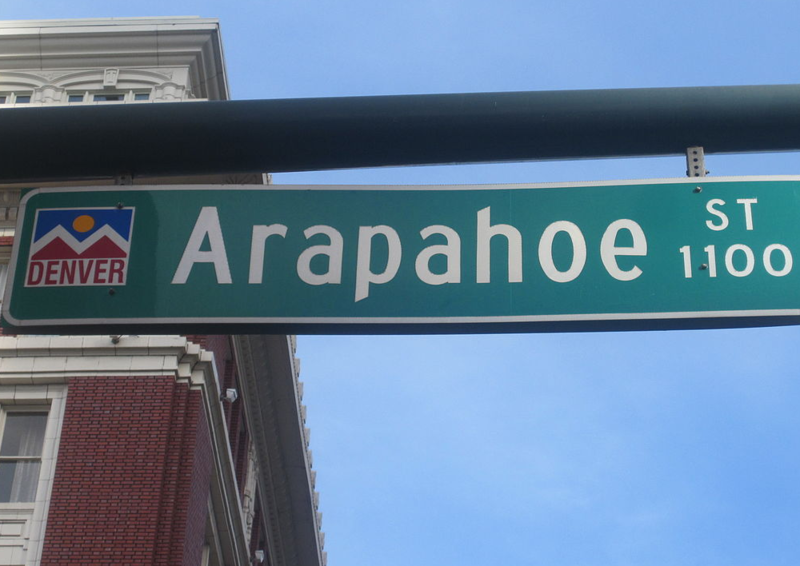 Who coined the unusual names for the streets in Denver? That'd be one Howard C. Maloney, who solved Denver's confusing street system issue way back in the late 19th century. Maloney, who previously worked as an Indian agent, came to Denver in 1896 to take a job with the Denver Union Water Company. When he advanced from clerk to main bookkeeper, he noticed a high number of complaints about billing and servicing issues from customers. He soon realized that Denver's street system was actually preventing the water department from locating customers. Can you imagine how confused you would be if Speer changed names every few blocks? When the city of Denver finally decided to take action, they worked with Jefferson County to establish a grid system with alphabetical street names, and Maloney was responsible for coming up with the names. “He more or less took it on himself in his spare time to come up with the proposed street names,” Goodstein said. So the streets west of Broadway were named after Native American tribes from A to Z, including "Acoma, Elati, Galapago, Navajo, and Zuni." Continuing west, Maloney developed another sequence of names borrowed from famous authors, like "Alcott, Bryant, Clay, and Decatur." Streets east of Colorado Boulevard were also named alphabetically, with two streets per letter. Maloney gave the first street the name of a location or personal name and the second street the name of a plant. "Albion, Ash, Bellaire, Birch," for example. Well? What do you think? Share your thoughts with us in the comments below. 'Hamilton' is set to return to Denver in 2020!